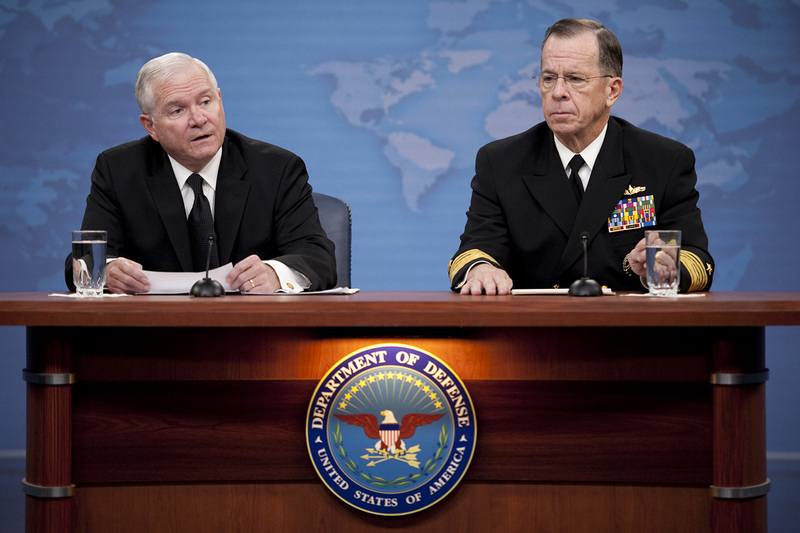 For the past few weeks, it seems like all the national security geeks in Washington have been hotly anticipating Defense Secretary Gates’ new five-year budget for Defense spending. 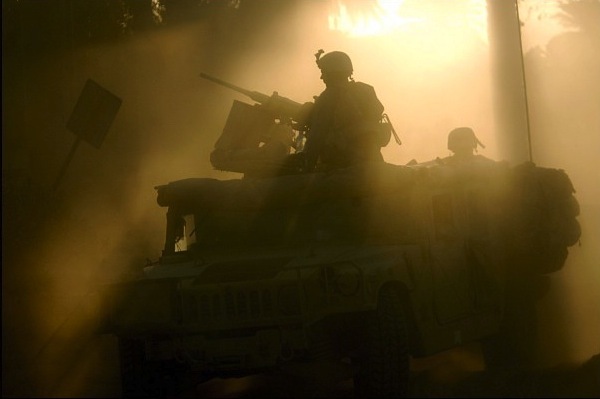 Now that it’s out, the conversation has turned to what it all means and what the implications are to the services, their contractors, and normal civilians. Sometimes, that conversation gets confused when terms and concepts are misused or used without explanation for the uninitiated. Here, I offer a few thoughts shedding light on how the military gets their technological systems from concept to deployment and offer some resources on where to find out more. When a service wants to “buy” something, whether that be a new Ground Combat Vehicle or 300 Playstations, it is participating in the act of procurement. But tanks aren’t bought the same way as sandbags, and with good reason. Used colloquially, the term procurement generally refers to a “commercial off the shelf” (COTS) purchase or to when a military organization buys additional units of an already existing item, such as helmets. Sometimes, however, the military wants to buy things that don’t yet exist, so it has to invent them. 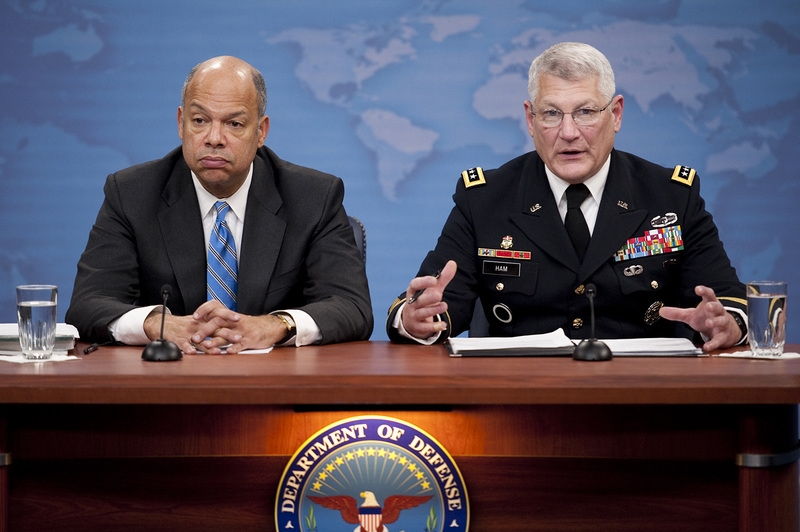 The term “acquisition” can refer to one of two systems within the Defense world. “Big A Acquisition” refers to the interaction of three systems – responsible for deciding what military equipment is needed, how to build it, and how to pay for it respectively. More on identifying needs and funding later. “Little A Acquisition” is a euphemism for the Defense Acquisition System, the formal, tightly controlled system that manages the development of new technology for the military. In Defense lingo, a new platform or system under development for the military is known as a program. This nomenclature seems self-explanatory, but gaining program status is no small occasion for a fledgling weapons system. Believe it or not, the military doesn’t like spending money on things it doesn’t need. Ironically, it often costs a lot of money to prove that a given capability actually deserves the funds needed to be developed. The process that helps refine what capabilities the military needs is known as the Joint Capabilities Integration Development System (JCIDS), another part of “Big A Acquisition,” from above. JCIDS defines how the military writes and tweaks the documents that define what a new piece of gear must be able to do to meet a given need. Only once plenty of brass from all over the Pentagon agree that a new technology should be developed does it become known as an acquisition program. This process lends itself to irony, since it means programs don’t actually become programs until they make it through a large chunk of the defense acquisition system (remember – that’s the system that’s supposed to regulate the activities of programs). It’s only after a program gets funded in the Future Years Defense Program (FYDP), a DoD accounting database, that it gets known as a program of record. Here’s where things get really complicated: programs do get funded before they get punched into the FYDP and become programs of record, they just reach into a different pot of money. I’ve talked briefly about the Defense Acquisition System and JCIDS. The final system that makes up Big A Acquisition is the Planning, Programming, Budgeting and Execution (PPBE) System. 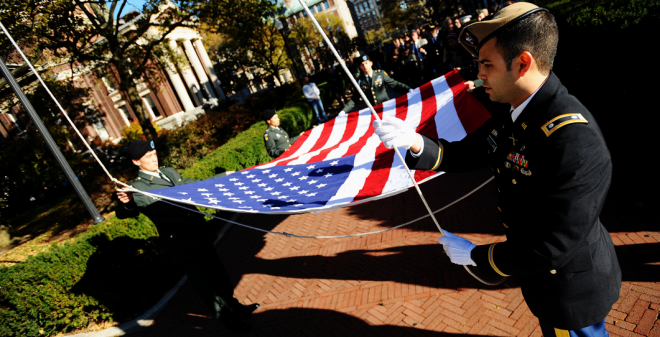 It outlines how the military requests funds for various initiatives from Congress. The complexities of PPBE largely escape me, but I will touch on a few points of nomenclature that I have seen confuse dialogue about acquisition. Federal funds for the military are broken into five broad categories: Research, Development, Test & Evaluation (RDT&E), Procurement, Operations and Maintenance (O&M, sometimes seen as Operations and Sustainment, O&S), Military Construction (MILCON), and Military Personnel (MILPERS). Splitting costs into these categories allow leadership to make tradeoffs between future capabilities and current affordability; between designing for maintainability and hiring more maintainers. It’s important to note here that procurement budget does not mean the same thing as procurement as I had defined it above. No doubt this mismatch has created significant confusion within the acquisition community, whether they know it or not. What’s important to remember about the cost categories is that the pots of money do not touch. While an acquisition can draw funds from multiple pots, it can only use money from each pot for specific purposes. For example, RDT&E funds can be used to build functioning units of a new system, but only if those units are to be used for “test and evaluation”. Judging by the headlines, the Marines’ Expeditionary Fighting Vehicle program seemed to be capable of staying within a reasonable RDT&E budget. So why was it ultimately deemed unaffordable? Because its cost per unit would have eaten up an unacceptable amount of the Marines’ procurement budget. Other examples abound. The RQ-4 Global Hawk faced opposition in Congress. Why? It was a new technology, so its RDT&E costs skyrocketed. The F-22 was partially nixed, despite years of sunk development costs. The culprit? Replacing the bird’s stealth coating after every flight drastically drained the Air Force’s O&M budget. When the people about the “Defense budget”, they are usually citing some combination of the five money pots, either service-specific or general to the military. In this short post, I’ve tried to clear up some misconceptions surrounding the dialogue about defense spending and also to spark curiosity in you, the reader, to find out more and question more. There are over 133,000 professionals currently in the defense acquisition workforce and the President wants to hire more. To assume that acquisition and defense budget issues are only relevant to national security geeks would be a mistake; the military-industrial complex is alive and well. The processes and systems I’ve discussed here pretend as though outside influences don’t exist, as though program managers can read official doctrine and know how to navigate their programs through the competing interests of contractors, congress, and the public. Sites like http://www.kc45now.com, which I hear radio ads for all the time, reveal how naive that notion is. I’ve written previously on this blog about the role of contractors. 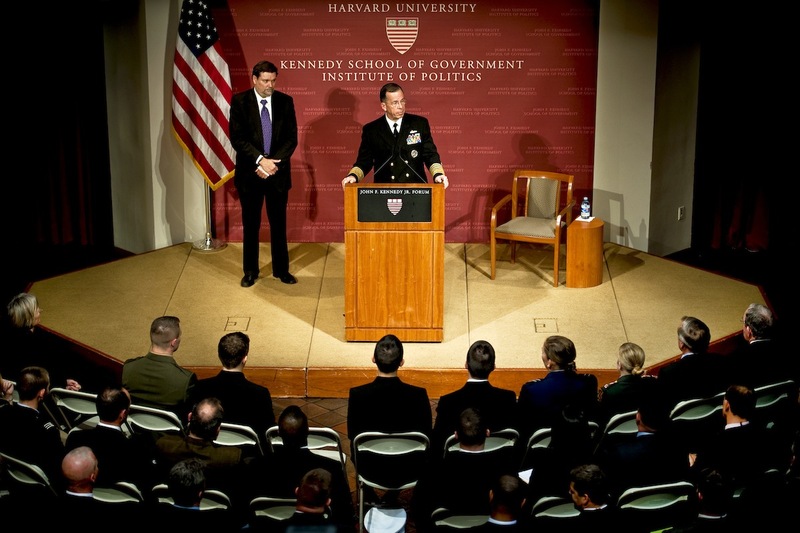 Nowhere is that role more apparent than in defense acquisition. The services like to believe that every system they develop can be traced to vetted battlefield requirement and that when programs get funded it is because no other means of achieving a capability is viable. In reality, one cannot discount the role of contractors. Contractors dream up our military’s technology, they create it, and they sell it. They know the ins and outs of the defense acquisition better far better than the average serviceman and are incentivized to use that knowledge to generate profit. That is not to say that contractors are not patriotic or do not give their all to create quality products for warfighters, but their motives must be understood. The DoD’s guide to understanding the Defense Acquisition process recently won the honor of being crowned the “Pentagon’s Craziest Powerpoint Slide”. The title is actually a misnomer, as that poster is meant to be mounted on a wall, which is why most acquisition types refer to it simply as “the wall chart”. The wall chart gives some perspective on why understanding Defense acquisition can be so challenging. Secretary Gates is widely respected for trying to reform Defense Acquisition, but then again, all of his predecessors since Donald Rumsfeld (the first time) have tried their hands at reform as well. Here’s hoping he succeeds in clearing things up. 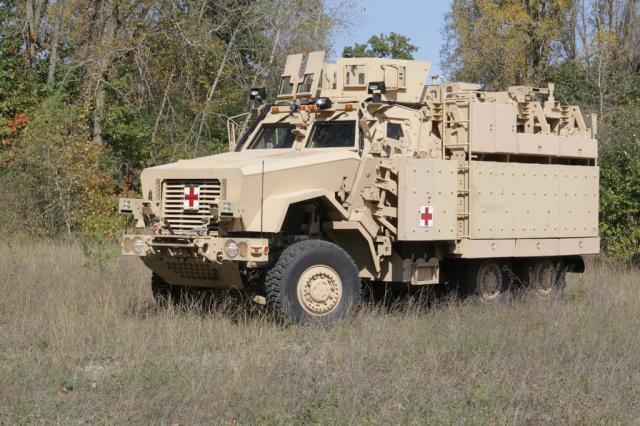 The office of the Assistant Secretary of the Army for Acquisition, Logistics, and Technology, or ASA(ALT), recently announced production of a new prototype Mine-Resistant Ambush-Protected Ambulance. Vehicles of this class, known as MRAPs, are specially designed with heavy armor and V-shaped hulls to deflect any explosive force that hits them from below. The new ambulances will be based upon the Caiman MRAP chassis and will have room for as many as four litter as compared to three in previous models. It will also host improved electrical and oxygen distribution capabilities, significantly improving the resources available to medics for en-route emergency care. 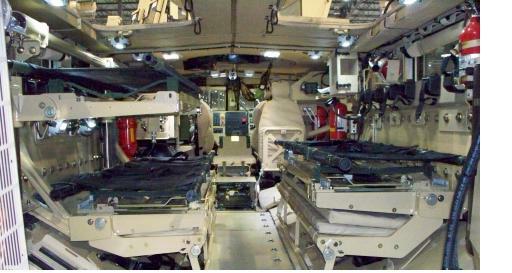 Interior of an older MaxxPro MRAP configured for three litter casualties.